Camping Ponte das Três Entradas es un camping con 75 parcelas de rotación y 2 parcelas durante todo el año. Durante la temporada baja, entre 08-02-2019 - 30-06-2019 y 01-09-2019 - 31-12-2019, la tarifa por noche es de €14 en una de las 75 parcelas de rotación en Camping Ponte das Três Entradas en Camping Ponte das Três Entradas (Coímbra). En este camping, no solo podrá utilizar su CampingCard ACSI para acampar de manera económica, sino que también podrá utilizar su ACSI Club ID (como un ID alternativo). Tranquilo y rústico junto al río Alva. Sombra. Bar acogedor con terraza, piscina y campo de deportes. Puntos de interés como Serra da Estrela con formaciones rocosas de granito, lagos y un impresionante valle glaciar. Zona wifi. Enjoyed three nights here. Pleasant rural area. Nice ‘rustic’ site by river. Nice bar. Wash facilities clean but basic. No real complaints, just a feeling that the site is a bit ‘tired’ a bit like the proprietors. We just absolutely love this campsite. It has a wonderful rustic feel and takes me back to my childhood in Africa where you had real camping :-) The campsite is right on the edge of the most beautiful river and have to say, cannot understand the one review here of the ugly fencing. For goodness sake, it is needed when children are around. The location is absolutely beautiful and the site is ideally located near the main town of Oliveria do Hospital where you will find large supermarkets, though there is a little shop right next to the site where you will be able to stock up on essentials. There are three restaurants close by (walking distance) and a great bar in Avo, the next village down, run by Wesley and Sharon (Dutch). Don't miss it! The site is run by the lovely Dutch couple, Karin and Tomas, who are so willing to accommodate and help you in any way. They have become good friends. Only think, Karin and Tomas, your bar and patio area is crying out for a restaurant as the setting is so great but of course understand the complications a restaurant can bring. The site also provides good internet coverage on the camping terrace nearest the bar area and costs one euro per day. Highly recommended. We were not impressed with this camping. The bathroom facilities are really old and without character. The showers were warm, but not hot, and the taps never got warm. The facilities were not cleaned thoroughly, with cobwebs and dirt on the floors. The campsite path was being repaved, so there were road construction machines around which was ugly. In my opinion, such works ought to take place when the camping is closed for the winter. Also the rest of the camping did not look nice, rather scruffy and dirty, and the river is behind an ugly fence. Service was fine, but the fact that they kept my ASCI card until checkout indicated lack of trust. This attitude was reflected in notes around the cafe's terrace that seating is only with consumption. We stayed one night only, as a result. I agree with you that such works should be done in winter-time, and that's what we wanted. The government is making a sewage-system and we are not the one in charge. We cooperate because we think that's important to be connected to the sewage system. If you told us your complaints about the water and cleaning during your stay, we could have done something. ¿Desea reservar u obtener más información sobre su Camping Ponte das Três Entradas? Puede hacerlo mediante los datos siguientes. Final de IC6 sal. N17, dir. Oliveira do Hospital/Covilhã. En Vendas Galizes N230 dir. Covilhã Vide (ahora no utilice el GPS) hasta Ponte das Três Entradas. Cp antes del puente a la dcha. pronunciado hacia abajo. 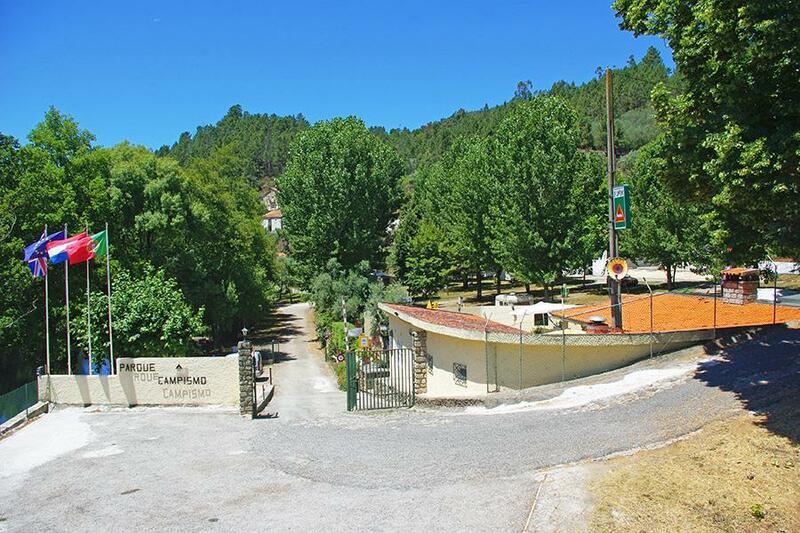 CampingCard ACSI reenvía su solicitud de información al "Camping Ponte das Três Entradas".